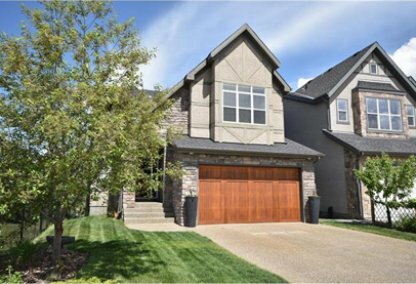 See today's Valley Ridge homes for sale & West Calgary real estate listings below. Located high in the West Calgary region, Valley Ridge real estate offers great views in all directions. Edged by the Bow River, located just 15 minutes from downtown, and rich in green space, Valley Ridge home buyers will find a great community in a beautiful natural setting. For information about Valley Ridge neighborhood properties for sale, contact your Valley Ridge Calgary real estate experts today. Interested in buying or selling a home in Valley Ridge? Call Justin Havre at RE/MAX First at 403.217.0003, your local real estate team. Your neighborhood Valley Ridge real estate agents and agents are here to help you navigate the ins and outs of the Calgary Valley Ridge housing market. With the population topping 5,000 people, the Valley Ridge real estate market has grown significantly since it was first developed in 1992. This is a very affluent Calgary community, with a 99% home ownership rate. Though you will find some Valley Ridge condos for sale, about 95% of Valley Ridge homes are single family detached houses. Valley Ridge is almost half green space and nature reserves. You'll find plenty to see and do here—from fishing and canoeing, to biking and golfing. The community is situated on the banks of the Bow River with ravines and wetlands. Valley Ridge is home to a renowned, 18-hole equity membership golf course. Golfers will find a nice selection of single family golf front homes and condominiums edging the greens. Known as Valley Ridge Estates, the community surrounding the golf course includes a shopping centre, sports fields and trails. A large proportion of Valley Ridge golf homes feature great views of the Bow River Valley, Nose Hill Park, and the fairways. Located on the western edge of the city, the Valley Ridge area is bordered by the Trans Canada to the south, and the Bow River to the north. Residents enjoy easy access to major highways and amenities. The Valley Ridge Community Association sponsors a variety of activities including garage sales, barbecues and live music events for neighbourhood residents. Elementary school students living in Valley Ridge can attend a number of schools including Belvedere-Parkway, St. Sylvester, and Varsity Acres Elementary School. High school students attend Bowness, William Aberhart, and St. Francis High School. The junior highs in the area are Thomas P. Riley, Branton, Our Lady of Assumption, and St. Madeleine d’Houet Junior High School. Looking to buy or sell a home in Valley Ridge? Let our team of real estate agents help you navigate the search for your next home and expertly negotiate the selling of your current home. As neighborhood Valley Ridge real estate agents, we know the dynamics unique to the Valley Ridge real estate market. We'll help guide your search today! Contact Justin Havre at RE/MAX First to find out more about buyer or seller representation. Hoping to sell your Valley Ridge home? Check out our free home evaluation, where you can instantly price your Calgary home online in minutes! Listing information last updated on April 20th, 2019 at 7:00am MDT. © Copyright 2019 Real Estate Webmasters. All Rights Reserved.